Sometimes you just need a do over. I sent my Jingle pillow out for refinishing and look at it now! I love it’s new look. The canvas is by Beth Gantz. Handpainted on 13ct. It’s a quick stitch even with my crazy love for beads. This was a mystery class a few Christmases ago. There’s a companion NOEL too. Maybe that should get an upgrade too. 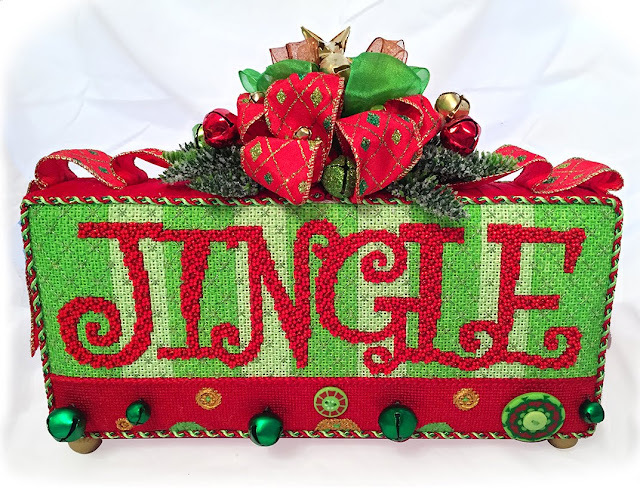 If you would like to stitch your own Jingle, give us a call at 410.296.0405 and we’ll put the gears in motion so you can have your very own Jingle party.